The explosion in volume and reach of social media and other digital tools has changed the way companies market themselves and distribute content. Indeed, having a company website is more important than ever before. Why? It adds credibility to your organization and it allows you to own your message. Your website also serves as the hub for all information relating to your brand (that which you are sending out as well as that which is coming in). Long gone are the days when companies can attract an audience by advertising alone. 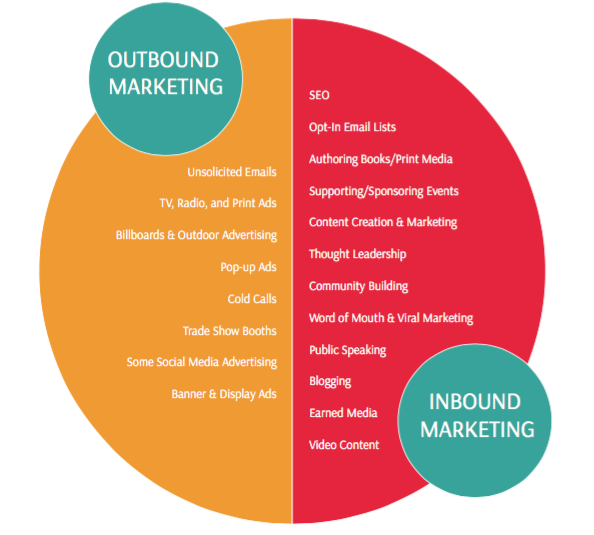 There has been a fundamental shift in marketing and advertising over the last decade or so from outbound to inbound. What’s the difference in techniques? Outbound marketing is the old-school, disruptive approach. It’s the advertisement that cuts into your television show, the jingle you hear on the radio, cold calls, emails, and direct mail. When consumers only had a few choices of networks, newspapers, and magazines, this approach made a lot of sense. 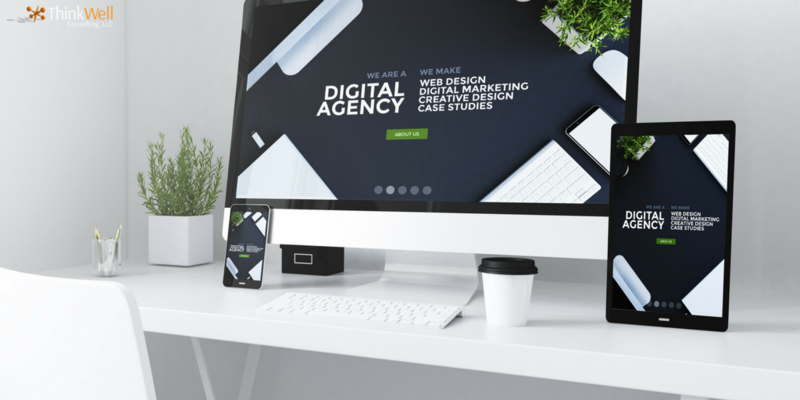 While we don’t necessarily recommend abandoning these traditional methods altogether, your focus should expand beyond this method to incorporate inbound marketing as well. Inbound marketing pulls your audience to you (that’s why it’s sometimes called pull marketing). Most often your draw is through valuable content. In the era of streaming video and DVR, consumers can watch movies and television shows without seeing a single ad. The Facebook algorithm delivers the most relevant articles directly to you based on consumer preferences. Pandora subscribers can pay for a version where you can listen to music without ads. XM radio provides you all the ad-free music you want on your commute to work. When given a choice to opt-out of an ad, people will opt-out most of the time. Since audiences have grown impatient by disruptive ads and are highly skeptical of overt sales pitches, brands have had to pivot from outbound to inbound marketing. The key for effective inbound marketing is the quality of content. The hub for all this great content you’re creating is your website. What is the hub and spoke model? To sum up the hub and spoke model: All roads lead back to the website. Email, Twitter, Facebook, Instagram, LinkedIn, Google ads, traditional ads, etc., are merely vehicles to carry current, new, and different audiences to your website. Most everything you publish anywhere digitally (the spokes) should push viewers back to your site (the hub). Why is it so important that your website serves as the hub? Many companies ask why they can’t use their Facebook business page instead. After all, if you’ve spent a lot of time building an audience on Facebook, it might seem logical to use Facebook as your hub. Using a third-party site could be a critical mistake because you have no control over it. While Facebook isn’t going anywhere, its algorithm is constantly changing and you have no idea (and no control) over how those changes could affect you and your content. It’s well worth the time and money to own your own little piece of digital real estate. What kind of content adds value? You must have fresh and interesting content to get traffic to your website. While your content can be as varied as blog posts, video, and podcasts, the one constant is that it must add value to your target audience in some way. When deciding whether a piece of content is valuable, ask yourself if it solves a problem, introduces a new idea, or entertains. If it doesn’t fit into one of these categories, it may not be valuable enough to capture an audience. And we recommend the 80/20 rule in our content: At least 80% should add value to our client while 20% can feature your products, services, or promotions. Get return visitors to your site by keeping the content dynamic. Choose the frequency you can handle — once a week or once a month — and stick to a schedule. The more consistent you can be, the better (ie. new content every Thursday morning!). Do all businesses need a website? In this day and age, it may seem like a no-brainer for all companies to have a website. That’s simply not the case. Some small and single-operator businesses we talk to think it’s not worth their time, effort, or money to create a website. You can’t blame them. Maybe you’re a small-business owner who gets all your new business prospects by referral. That’s awesome — referrals are the best way to get new business. However, today, most prospects are going to Google your business before they hire you. Having a website adds credibility to your business by telling a prospect that you are established. It’s also one small place where you alone can control the message. Take advantage of that fact and use your best messaging, testimonials, and reviews to put your best foot forward. 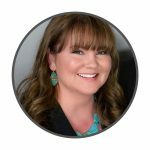 Lauren Yates is a principal and co-founder of ThinkWell Consulting, LLC. Here, she writes about consulting, entrepreneurship, and digital marketing.